The Mechanicum seigneury in the Volganis System had long chafed at the authority of the Imperial writ of authority giving the Merchant Households dominion over this area of space and had been secretly meeting with envoys from Horus and Kelbor-Hal for some time. In exchange for their support in the coming war, the Volgan Mechanicum had been offered independence from both the tyranny of the Merchants and of the stifling Crimson Accords. 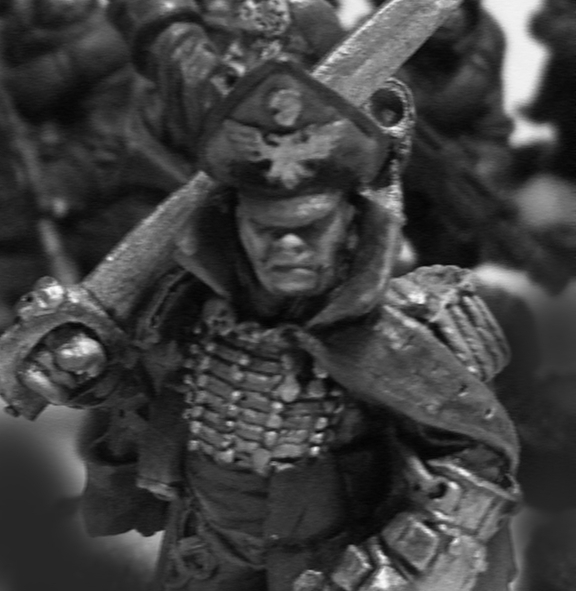 When the Warmaster’s hand was finally revealed, Volganis seceded from the Imperium. On Helios Prime the Merchant Households held an emergency conclave to discuss how they were to respond to the secession crisis. Although their armies were great, a direct attack against the heavily defended homeworlds of the Volgan Mechanicum was considered foolhardy at best and suicidal at worst. Duke Leopold II Ränke instead proposed a blockade of the Volganis System in order to deny it vital resources, combined with an aggressive campaign to isolate and destroy any and all Volgan forces outside their home system. After a close vote, Ränke’s proposition was adopted by the Households. The Households quickly dispatched their fastest ships to begin enforcing the blockade of Volganis and more importantly attempt to keep news of their secession from spreading. In this they were inadvertently aided by the Volgans themselves, who in their rush to reinforce their home system, neglected to prepare or in many cases even inform many of their off-world units. Tragically, many Volgan garrisons would find themselves under attack having no idea why. This would be case on the agri-world Helopherion. Helopherion was one of the breadbaskets of the Helios Sector, and due to its proximity to the raiders of the Medusan Nebulan it benefitted from a large garrison force and an impressive network of fortifications, especially around the export hubs in the Reedek River Valley. It was also one of the worlds whose defense was the responsibility of the Volgan Mechanicum. The Merchant Households wasted no time in mobilizing their armies to seize this vital resource base. Five Divisions made planetfall on Helopherion and set up command and control centers and airfields in preparation of what the Volgans assumed were war games. On the morning of 162.007.M31, the Household troops moved away from Volgan fortifications in the guise of a major live-fire exercise. Once they had reached a safe distance, the Merchant commanders, Duchesse Gauntë and Duke Seloquitus, jointly ordered their aircraft into the air and their land and orbital guns to prepare to open fire on their erstwhile allies. Helopherion had considerable defenses for an agri-world, concentrated mainly in the strategic Reedek River Valley, where most spaceports and major cities were located. 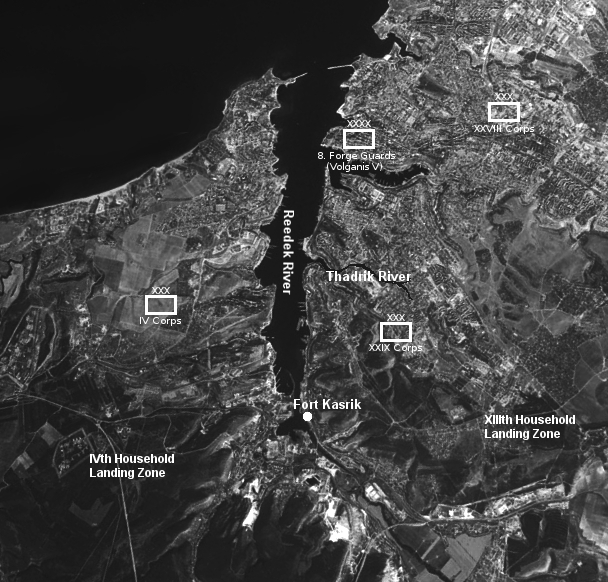 A network of forts protected the approaches to the peninsula and the natural harbour therein. The Volgan Mechanicum, characteristically, approached the defense of Helopherion with a decided lack of enthusiasm, and the forces they sent were almost wholly composed of unaugmented levies from the industrial world of Volganis V. Nonetheless, the units that composed the garrison remained formidable. The Eighth Forge Guards Army (Volganis V), commanded by Marshall Vladislav Tretiak, was tasked with the protection of this vital world. It was a reinforced field army qualified as a primary-grade Excertus Imperialis formation. Most of the army’s front-line strength of 1.2 million men and 12,000 tanks was concentrated along the fortifications of the Reedek River, although a dozen independent battalions were rotated in and out of bases across the world. The Eighth Army was expected to resist a Category Two Xenos invasion for up to a month, giving the rest of the sector time to mobilize reinforcements. The forces dispatched to undertake Operation Vigilance were drawn from the IVth and XIIIth Merchant Households and consisted of Five Divisions totaling six million personnel and a very large concentration of armour and aircraft. Each Division was composed of 100 Cohorts, and almost the entirety of this force was deployed to the Reedek River area. 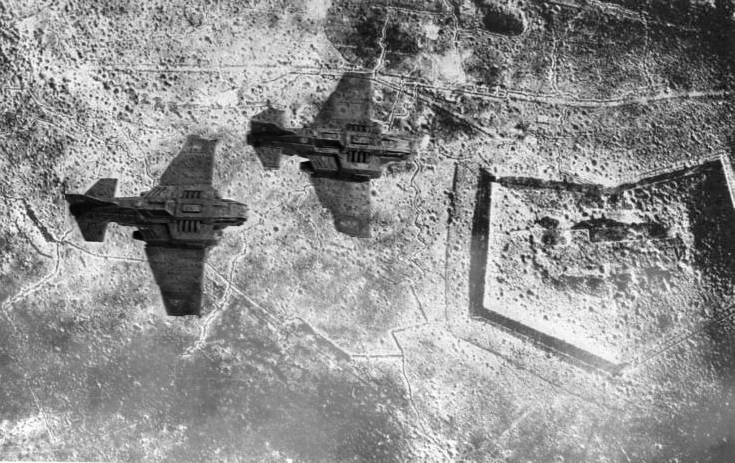 The IVth Household included a large complement of Airborne Cohorts which were tasked with seizing vital bridges and strongpoints, while the XIIIth had heavily reinforced its super heavy armour battalions and organized them into breakthrough detachments to punch through the fortification network. It was expected that these forces would be sufficient to rout Volgan forces within a week of the offensive’s start and secure the planet within 10 days. Operation Vigilance officially began as Helena Gauntë’s personal Stormhammer Her Will opened fire with its Vulcan Mega Bolter at Volgan troops of the 27th Regiment at Fort Kasrik. Moments later, a thunderous artillery barrage combined with precision lance strikes from the Merchant Star Galleons in orbit devastated the primary fortification belt along the Reedek River Valley. Tens of thousands of Volgan troops were caught in the open and slaughtered in the opening minutes of the offensive. As quickly as it started the bombardment stopped, the sound of shells replaced with the whir of aircraft engines as Household air wings made precision strikes against Volgan armour and grounded fighters. All along the line, Heavy Breakthrough Cohorts assaulted the dazed and disorganized Volgan survivors of the brief but devastating bombardment. In dozens of areas defenses were breached, but within a few hours resistance began to form. Marshall Tretiak quickly recovered his wits and ordered his forces to stand firm and if possible counter-attack with any available forces. Recently discovered records show that hundreds of Volgans were executed by the Discipline Cadres in those first few hours, which combined with mass injection of combat drugs did much to stiffen the resolve of the beleaguered defenders. Desperate fighting took place on the 1,300 km wide front, with Volgan resistance running the gamut between fierce and suicidal, while mounting casualties threatened to upset the Merchants’ strict timetable. Still, the Households moved forward. It was at Fort Kasrik that the opening salvo of the war for Helopherion was unleashed, and it was there that Helena Gauntë first had an inkling that the operation would be longer and costlier than the Merchant Households had anticipated. It was a redoubtable fortress, protected by thick ferrocrete battlements, trench lines, redoubts, and heavy razorwire. Though most obstructions had been removed to not impede movement of the forces supposedly participating in manoeuvers, it remained a key strategic objective, one that Helena Gauntë and her Onyx Guard intended to seize personally. Fort Kasrik was garrisoned by the 27th Infantry Regiment (Volganis V), supported by the 79th Independent Heavy Tank Battalion in reserve. Unbeknownst to the XIIIth House, the fort had been recently modernized and reinforced, and it emerged from the opening bombardment relatively unscathed. It would be necessary to root out the defenders with bolt and blade. The main assault came in the eastern sector held by the 2nd Company of the 2nd Battalion. 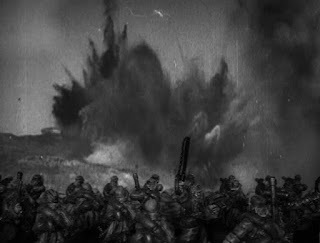 Supported by direct fire from the command Stormlord Her Will and several Malcadors – including the chemical tank Black Badger – XIIIth House heavy infantry made steady progress towards the fort’s escarpments, the defenders’ lascarbine fire harrying the advance but unable to stop it. Meanwhile, in the command bunker, the company commander, Captain Vorozhez, repeatedly voxed headquarters demanding reinforcements. His appeals were soon answered. A detachment from the 79th Heavy Tank Battalion, consisting of two squadrons of Leman Russes led by a Lupercal Heavy Tank, rumbled onto the battlefield and began trading fire with XIIIth House infantry and armour. The Lupercal’s Vulcan Heavy Bolter quickly scythed down dozens of men and blunted an assault against the center of the fort. Meanwhile, on the eastern flank, the Black Badger doused the Volgan line with chemical fire, rendering the position a living hell of blistered and melting flesh. A subsequent assault, personally led by the Duchess, was more successful, the heavy assault troops of her personal bodyguard smashing their way into the center of the fort. With sword and axe, the Onyx Guard slaughtered their way through Fort Kasrik, repeated bayonet charges by the increasingly desperate Volgans failing to stem their advance. 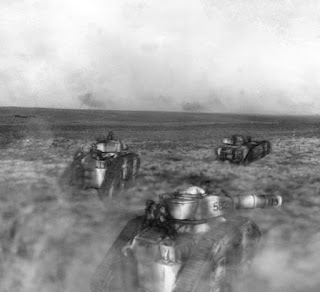 On the eastern flank, the repeated chemical salvoes finally allowed Household infantry to gain a foothold in the line, while ground attack aircraft led by the infamous ace Red Deuce took a heavy toll in Volgan armour. The defenders of Fort Kasrik were being inexorably ground down. By evening most of the fort had been seized by the XIIIth Household with only a few isolated pockets of resistance left to be mopped up. With the perimeter breached by heavy armour, the regimental commander Colonel Kovalev ordered the 27th Regiment to withdraw in order to avoid being encircled. At the eastern sector, the ragged remains of the 2nd Company attempted to retreat under heavy fire, but were pinned and in danger of being overrun. In one last desperate action, the Lupercal Heavy Tank rammed the Her Will and then proceeded to detonate its reactor, heavily damaging the command Stormlord and providing enough of a distraction to allow for many dozens of wounded and dazed survivors to escape north. Similar scenes of desperate and savage fighting took place all along the line, but by dusk of the first day of Operation Vigilance, the first fortification belt had been seized, though at a far heavier cost than the Households had expected. Many frontline units had suffered as much as sixty percent casualties, and most Cohorts had exhausted their supply of munitions in the fighting. This made pursuit of the retreating Eighth Forge Guards Army impracticable, and the Duchess and Duke reluctantly ordered a temporary halt in order to reform and resupply. The Eighth Forge Guards Army had also been battered by the initial fighting over the first fortification belt, suffering in excess of a quarter million casualties in only a few hours. The ragged remnants fell back in disorder, and it was only the Households’ halt order that prevented the withdrawal from turning into a complete rout. Marshall Tretiak’s command staff spent the next few days desperately trying to restore some order on disintegrating Volgan units. Fresh rounds of field executions targeted deserters and defeatists, and by 168.007.M31 some semblance of discipline had been instilled in the Volgan ranks. Rearguards were soon deployed to delay the enemy once their advance began anew, while engineer battalions began entrenching a new defensive line on the north bank of the Thadrik River. The Thadrik was a natural choice to make a stand. Running west to east, it formed a natural barrier between major populated areas to the north and the enemy now consolidating its positions to the south. The Households, although not advancing, had not been idle. In an effort to cut off the withdrawing Volgans, their air wings had conducted heavy bombing runs on the bridges on the Thadrik, ruining all but one of the crossings. The bridge along the primary transport line running north-south was heavily reinforced to withstand the huge amount of shipping traffic that ran upon it, and had thus far proven impervious to enemy explosives. The 27th Infantry Regiment, which had absorbed several diminished battalions to bring it back to its nominal front-line strength, was assigned to the sector, and ordered to hold it at all costs. Although most of the Eighth Army had already made it across the river, many battered units were slowly streaming towards the relative safety of the north bank. Mixed in with these stragglers were thousands of civilians fleeing the fighting, further clogging the only bridge left standing. would attempt to cross the Thadrik in three points before the Volgans completed their fortifications. To the west, near the mouth of the Reedek River, IVth Household flying columns would attempt to seize a bridgehead to divert Volgan forces and prevent resupply by sea. To the east, a major amphibious assault would storm the north bank of the Thadrik at its narrowest point. Finally, in the centre, Helena Gauntë herself would lead the heavily armoured First Cohort in a direct assault on the last remaining bridge across the river. Meanwhile, in the void, a fleet translated into realspace. The Duke and Duchess were initially relieved, as they were expecting reinforcements from their families on Helios Prime. 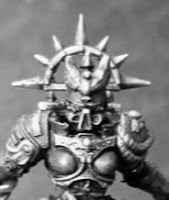 However relief quickly turned to concern as the ships now barreling down on Helopherion did not fly the flag of the Merchant Households, but rather the cruel iron skull of the IVth Legiones Astartes. Completely outclassed and outgunned by the Legion fleet, the Household ships withdrew rather than risk a firefight they could not win, allowing the IVth Legion to deploy at high anchor without firing a shot. Within minutes, the Astartes of the 64th Grand Battalion began to deploy on the surface via Stormbird and Drop Pod. The Iron Warriors Legion had entered the war, and moments after hitting the ground were already digging trenches and sighting artillery. Recognizing the danger, the Households pushed their forces forward in an attempt to gain a bridgehead across the Thadrik before the Astartes could deploy in strength. The central assault on the last bridge on the river would be the focal point – the site where the Helopherion Campaign would escalate from a minor conflict into a major war. The IVth Legion commander Kurgen and his bodyguard of warriors in Tactical Dreadnought plate executed a teleport deployment onto the bridge and immediately took command of the disparate Volgan troops holding onto the position. He immediately ordered them to set charges – regardless of the men and women trapped on the south side of the river, the bridge could not be allowed to fall into enemy hands. The Volgan troops went to task with desperate speed, perhaps even more terrified of the armoured giants now bellowing orders than the Household forces rapidly approaching. On 172.007.M31 the battle-hardened soldiers of the XIIIth Household launched their attack. Assault boats of Devildog infantry stormed the bridge pylons from the water in an effort to prevent their destruction, while heavy armour led by a Stormhammer super heavy vehicle pushed forwards to sweep aside Volgan forces. While under relentless fire from Household artillery and aircraft, the defenders managed to destroy all but one of the bridge pylons keeping the structure from falling into the Thadrik. However, the heavy assault from the First Cohort took its toll, within hours almost all the bridge's defenders were killed. The Volgans had however sufficiently stalled the Households to allow Legion reinforcements to be thrown into the fray. This is awesome! Reminds me of the old IA Vraks books. That is very high praise indeed, the Vraks books are still some of the best books GW/FW has ever produced! Thank you! Looking forward to episode 3!